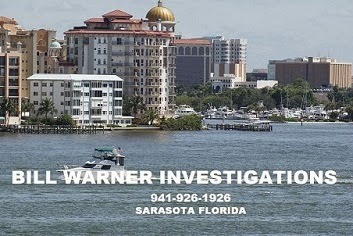 Better Call Bill Warner Investigations Sarasota Fl: How the Tampa FBI is Stonewalling the Sarasota Saudi Family and the Saudi Gov Connection to 9/11 Using the IIIT-SAAR Grand Jury Investigation. 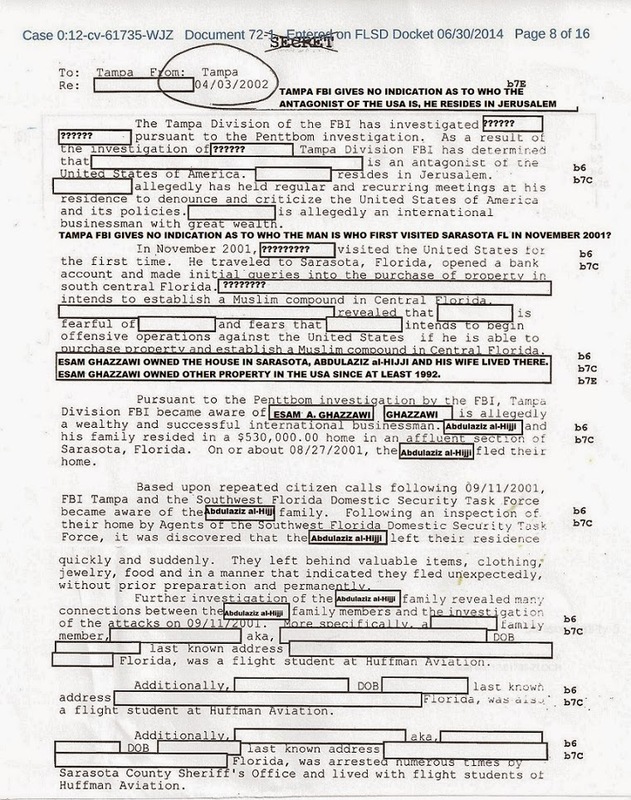 How the Tampa FBI is Stonewalling the Sarasota Saudi Family and the Saudi Gov Connection to 9/11 Using the IIIT-SAAR Grand Jury Investigation. On Sept. 11, 2001—four teams of hijackers commandeered large passenger jetliners on coast-to-coast flights, and flew three of those planes into targets in New York and Washington, D.C., killing almost 3,000 people. Of the 19 men that made up the hijacking teams, 15 were Saudi Arabian. Three of the pilots had been taking flying lessons at well-known flight schools in the Sarasota Fl area. 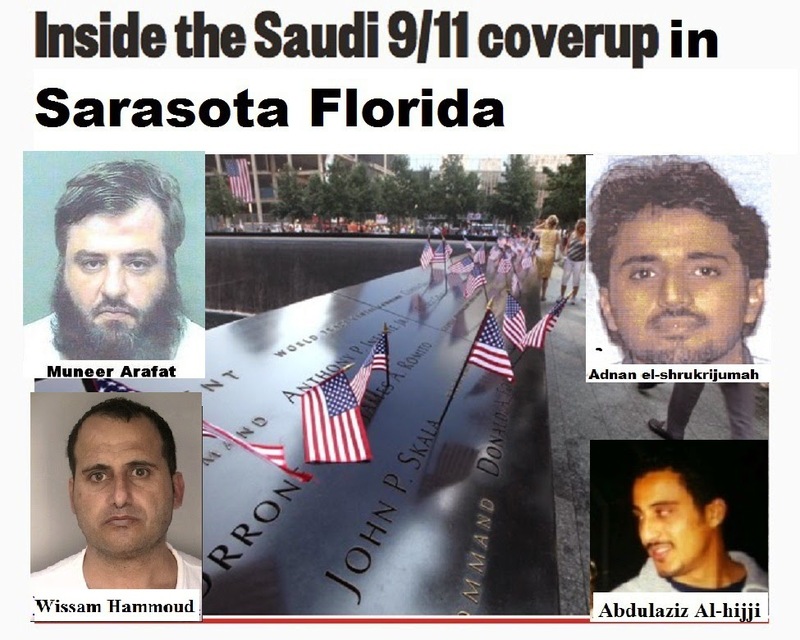 The Tampa FBI is stonewalling the Sarasota Saudi Family and Saudi Gov Connection to 9/11 because it all links directly to Operation Green Quest and Saudi Arabia funded think tanks IIIT and SAAR in Herndon VA. To understand why the FBI is withholding evidence of the involvement of the Sarasota Saudi Family and many others to the 9/11 Hijackers while they were in Sarasota Fl, one has to step back and look at the much bigger and broader picture involving Saudi Arabia. 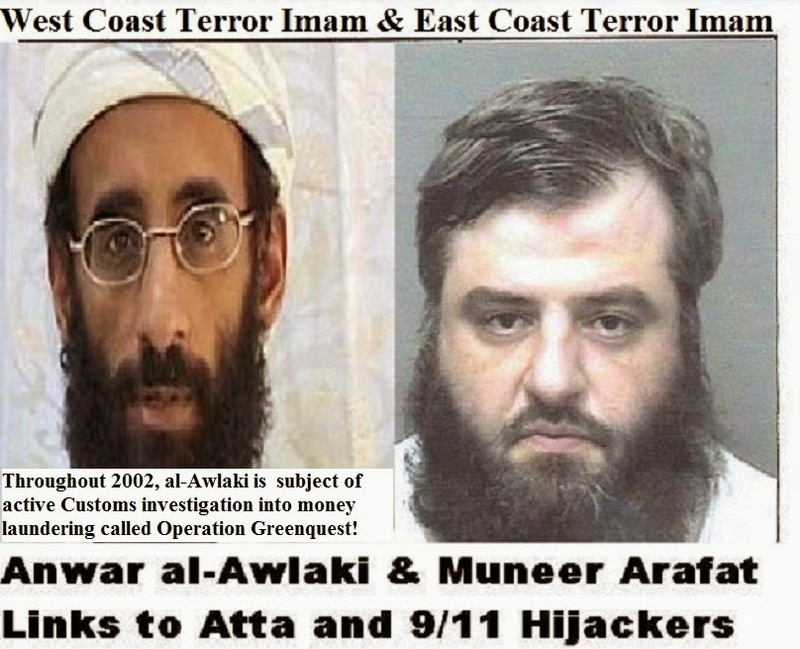 Terror Imam Anwar al-Awlaki, Sami al-Arian, Tarik Hamdi and Ziyad Khaleel were all subject to the Customs investigation into money laundering called "Operation Greenquest". Sami al-Arian refused, repeatedly, to testify before the ongoing grand jury investigation focusing on the Herndon, Va.,-based organization called the International Institute of Islamic Thought and the SAAR Foundation, in Alexandria, Va., Eastern District of Virginia, al-Arian claimed "the guys" would kill him and his family. PHOTO: From left: King Abdullah, Prince Naif, Osama bin Laden, Prince Bandar, and Prince Turki all from Saudi Arabia. Sarasota Fl Saudi family patriarch Esam Ghazzawi was the actual home owner of the Prestancia house. Arlington VA real estate records indicate that Esam Ghazzawi also owned a two-story penthouse apartment in 'The Atrium' apartment building, on Key Boulevard in Arlington VA, which he purchased in 1992. The penthouse was deeded over to Zuhair Ghazzawi in 1997, and Zuhair Ghazzawi sold it in 2003. Distance from Arlington VA to Herndon VA is 19 miles. Esam Ghazzawi is also linked to addresses in Washington DC, the home in Sarasota Fl, Houston TX and Lexington KY. Esam Ghazzawi was a Saudi adviser to the nephew of then-King Fahd of Saudi Arabia. This Sarasota Saudi family coverup goes far beyond the suppression of the crucial 28-page chapter from the Joint Congressional Inquiry into 9/11, concerning Saudi support for the 9/11 hijackers, the concealment of which has continued under the Obama Administration to this day. During 2002 there was an investigation by the Bureau of Immigration Customs Enforcement (ICE) that I initiated in Sarasota into a network of Muslim men in the used car business directly linked to convicted terrorist supporter Sami al-Arian, who were sending vehicles to the Middle East for resale, this all happened BEFORE Sami Al-Arain was arrested on February 20th, 2003 and appears to have links to the ongoing grand jury investigation focusing on a Herndon, Va.,-based organization called the International Institute of Islamic Thought, in Alexandria, Va., Eastern District of Virginia. 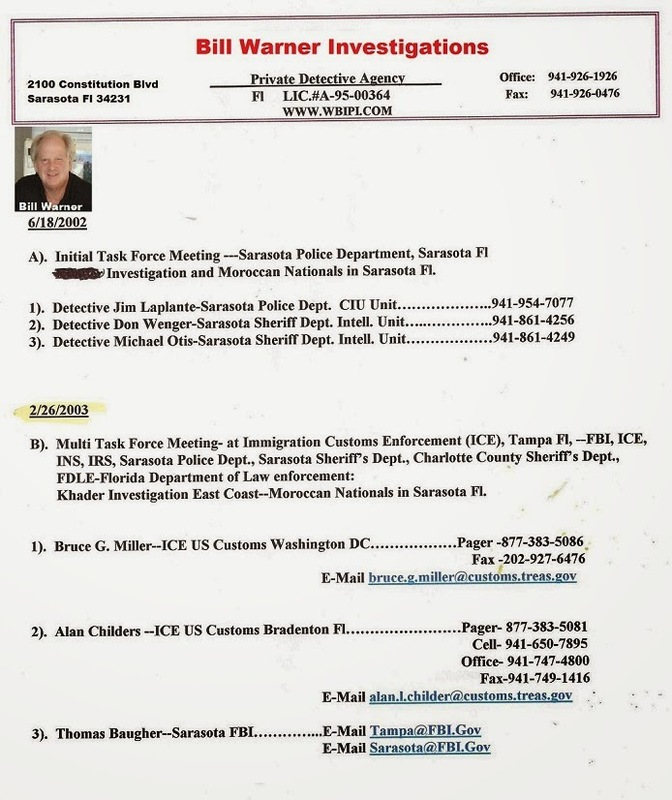 The investigation into the Sarasota Muslim network and Sami al-Arian directly links to the Bureau of Immigration Customs Enforcement (ICE) 'Operation Green Quest" raid of IIIT and the SAAR Foundation. Institute of Islamic Thought (IIIT) is yet another institution funded by Saudi Arabia. The IIIT Institute’s Herndon, VA, headquarters, located at 555 Grove St., were subject of a March 20, 2002 raid, along with 19 other Saudi funded business and non-profit entities allegedly related to an umbrella corporation known as the SAAR Foundation, as part of a joint FBI-ICE program known as Operation Green Quest. The Senate Permanent Subcommittee on Investigations report also noted that at the same time that the Bosnia raid occurred, in March 2002, the FBI was also raiding the Northern Virginia offices of the SAAR Foundation, a front for the Al-Rajhi group, linked both to the Muslim Brotherhood and other hard-core terrorist cells around the globe. "Operation Green Quest" targeted SAAR and the affiliated Safa Group of charitable and business fronts, all tied to the Saudi Arabia regime. While the leaders of IIIT-SAAR and Safa have not been charged, and the Grand Jury investigation is still ongoing to this day, the investigation did lead to the 2004 guilty plea by American Muslim Council founder Abdurahman Alamoudi, who is serving a 23-year sentence for illegal transactions with the Libyan government and assisting in a plot to assassinate then-Saudi Crown Prince Abdullah. Former Florida professor Sami al-Arian declined to answer questions before the IIIT-SAAR Federal grand jury in Alexandria in 2006 and again and again over the years, according to documents unsealed in federal court in Tampa. The FBI took over the Operation Green Quest investigation in late 2003 or early 2004, as it linked to terrorism, and excluded ICE, there was a huge stink over that move and the IIIT-SAAR FBI investigation continues to this day. US Customs Agents carry out boxes of evidence from SAAR network businesses on March 20, 2002. SAAR stands for Sulaiman Abdul Aziz al-Rajhi, a Saudi banker and billionaire who largely funded the group beginning in the early 1980s (see July 29, 1983). He is said to be close to the Saudi ruling family and is on the Golden Chain, a list of early al-Qaeda supporters. Wall Street Journal. 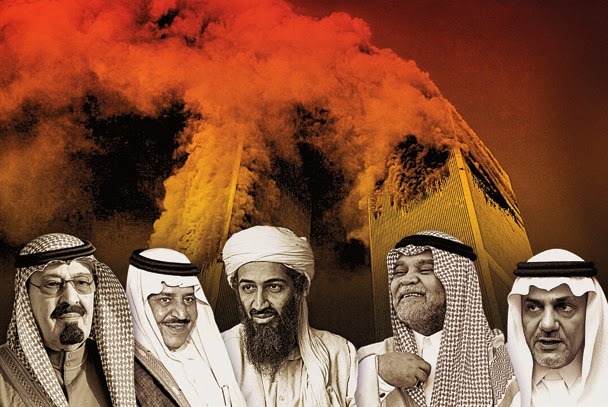 Investigators appear to be primarily interested in the connections between the SAAR network and the Al Taqwa Bank, a Swiss bank closed after 9/11 on suspicions of funding al-Qaeda and other terrorist groups (see November 7, 2001). They are also interested in connections between both SAAR and Al Taqwa and the Muslim Brotherhood (see December 1982). As a result of conflicts between the FBI and the Bureau of Immigration and Customs Enforcement (the successor agency to Customs) over Operation Green Quest, in May 2003 the Attorney General and the Secretary of Homeland Security signed an agreement concerning terrorist financing investigations. In it, DHS acknowledged that the Department of Justice, through the FBI, was the lead agency in the fight against terrorist financing, and that any terrorist financing investigations would have to be conducted under the auspices of the FBI-led Joint Terrorism Task Force. DHS also agreed to disband Operation Green Quest by June of 2003 and not to start any investigations into terrorism or terrorist financing without the permission of the FBI. 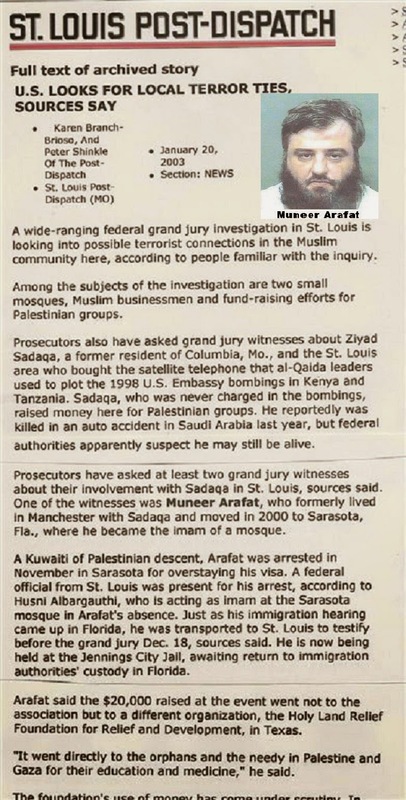 Imam Muneer Arafat was a 'Jihad Preacher' in the St Louis area Mosques and had been the roommate of Al-Qaeda procurement agent Ziyad Sadaqa aka Ziyad Khaleel. “Holy Man” Muneer Arafat shows up in Sarasota/Venice Fl area in March of 2000 to work at the Islamic Society of Sarasota and Bradenton, Mohamed Atta and 2 other Al-Qaeda 9/11 Hijack pilots show up in the Sarasota/Venice area in June 2000, small world, eh. From open court records in Tampa it has been revealed that Muneer Arafat had become an informant for the US Department of Justice in 2002 and they had paid him $35,000 to infiltrate a group of Muslim used car dealers in Sarasota Fl, but was Arafat working both sides of the street at the same time ? Ziyad Khaleel aka Ziyad Sadaqa– A Designated Terrorist. Purchased a satellite telephone and the battery for Osama Bin Laden that allegedly facilitated the Al-Qaeda attack on the 1998 U.S. embassies in Tanzania and Kenya. Muneer Arafat, the Iman at the Islamic Center of Boca Raton and a frequent visitor in Sarasota Fl, was the roommate and long time associate of Ziyad Khaleel aka Ziad Sadaqa in Columbia MO and in St Louis. Tarik Hamdi was employed by Sami al-Arian in Tampa Fl at one of al-Arian’s Palestinian Islamic Jihad (PIJ) front and he took a replacement battery for the same satellite telephone to Osama bin-Laden. Tariq (Tarik) Abdulmelik Hamdi a/k/a Tariq Hamdi Ismael Azami – Employed by IIIT, Hamdi delivered a replacement satellite telephone battery to an aide to Bin Laden in May 1998, that enabled Bin Laden to communicate with his followers in preparation for the US Embassy Bombings in Kenya and Tanzania. 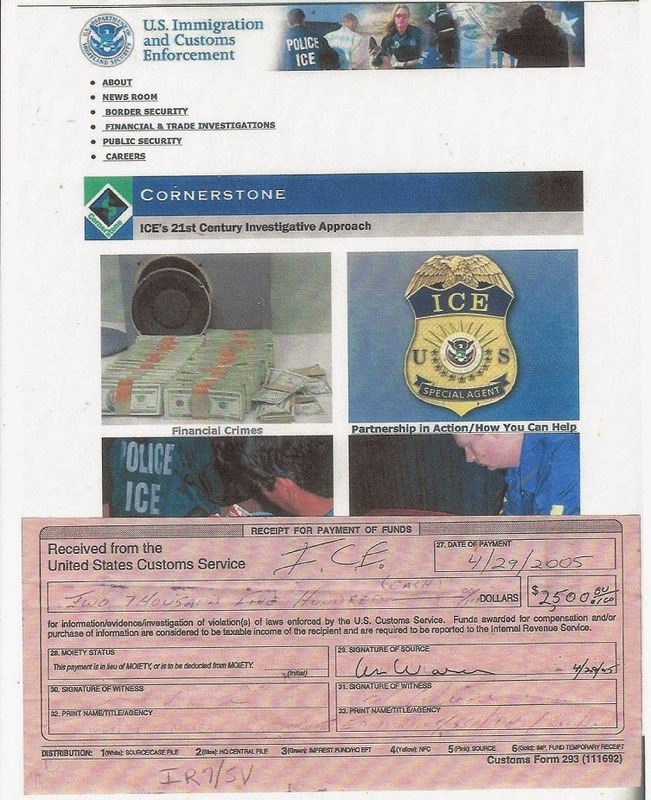 The two al-Qaeda operatives, Ziyad Khaleel and Tarik Hamdi, have been involved with both the CDLR and the ARC and both men were the subject of a 2002 active Customs investigation (ICE) into money laundering called Operation Greenquest. The Advice and Reformation Committee (or “ARC”) and the Committee for the Defense of Legitimate Rights (or “CDLR”) are both Saudi-dissident groups in London with ties to Osama bin Laden. Tarik Hamdi’s former employer the International Institute of Islamic Thought (IIIT) – IIIT is a core member of the Safa Group. IIIT employed Tariq Hamdi who corresponded directly with Al-Arian’s groups in Tampa. International Islamic Charitable Organization (IICO) – “Safa Group” corporation located at 555 Grove Street, #116, Herndon, Virginia, operated by Muhammad Ashraf, Ibrahim Hassaballa, Yaqub Mirza and Mohieldin Mohamed. Sami Arian was arrested on a federal prosecutors indictment on February 21, 2003, he was acquitted in one of the nation’s highest-profile terrorism cases on most charges but pleaded guilty to a single charge of support of terrorism. Sami al-Arian believes his life would be in danger (al-Arian would be killed) if he testified before the IIIT Grand Jury (he never did), his attorneys told a judge. 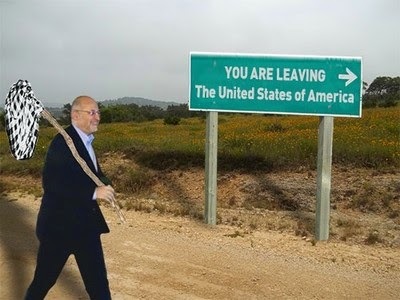 A criminal contempt indictment against former University of South Florida professor Sami Al-Arian was dropped Friday June 27th, 2014, clearing the way for his deportation after over a decade of being targeted by the U.S. Justice Department. Al-Arian's legal drama continued when prosecutors in Alexandria, Va., Eastern District of Virginia, sought his testimony in a separate investigation there. They sought his testimony in a long-running, terror-related grand jury investigation focusing on a Herndon, Va.,-based organization called the International Institute of Islamic Thought, which was raided by the FBI (ICE) in 2002 and had provided funding to the think tank Al-Arian founded. Sami Al-Arian was given the opportunity to appeal the determinations of Judge Lee in Virginia and Judge Moody in Florida that his plea agreement did not bar the government from compelling his testimony - - and he did so twice. United States v.Al-Arian 514 F.3d 1184 (11th Cir. 2008); In re Grand Jury Subpoena, No. 07-1155 (4th Cir. March 23, 2007). In light of these principles, any fear that the defendant may have had would be irrelevant to whether he committed the offenses charged. Accordingly, this Court should bar the defense from arguing or introducing evidence to establish that the defendant feared that complying with the orders to his safety put at risk his safety or that of his family. On Feb 3rd 2015 Sami al-Arian was finally deported after repeatedly refusing to answer before the IIIT Grand Jury investigation for 12 years. Sami Arian was arrested on a federal prosecutors indictment on February 21, 2003, the DOJ kept al-Arian confined in one way or another for 12 years. Sami Al-Arian was deported from the United States late Wednesday Feb 3rd, 2015. According to a statement from Immigration and Customs Enforcement, he flew to Turkey "via a commercial flight from Washington Dulles International Airport in Fairfax, Virginia." According to an FBI memo a source whose name is redacted in the investigative file "advised that the IIIT, NAIT (North American Islamic Trust) and all the subsidiary and sponsoring Muslim organizations under the control of the IIIT and the SAAR Foundation are in fact IKHWAN organizations, aka Muslim Brotherhood". 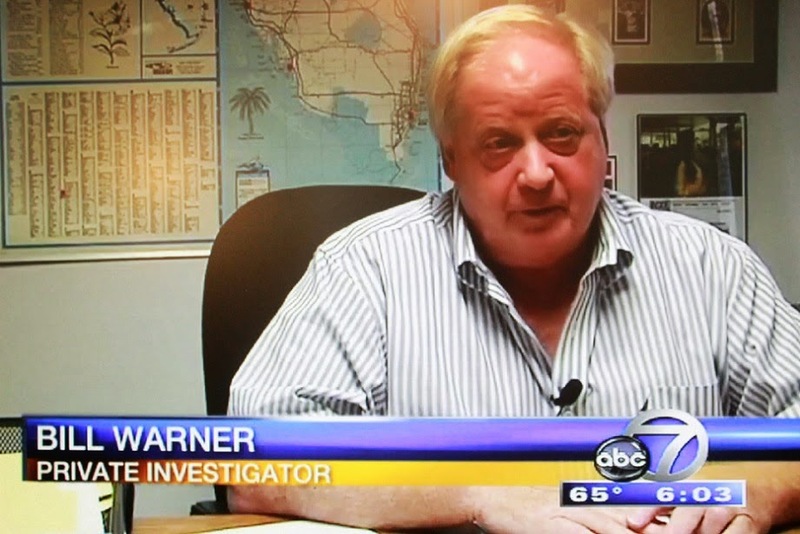 Ok, lets get real here, my name is Bill Warner I am a licensed private investigator in the State of Florida and have been since 1997. I was there in April 2002 in Sarasota Fl working as an informant for the Bureau of Immigration Customs Enforcement investigating a group of Muslim used car dealers in Sarasota Fl. I reported directly to a ICE agent who at the time was based in Bradenton Fl. I was also reporting directly to the Sarasota Police Department Intel division, with additional meetings with the Sarasota Sheriff Department's and a Sarasota based SA FBI Agent. We had meetings all through 2002 and 2003 and into 2004 regarding a support of terrorism network in Sarasota Fl that appears to have some links to Sami al-Arian and a grand jury investigation focusing on a Herndon, Va.,-based organization called the International Institute of Islamic Thought, and 9/11 Hijackers Mohamed Atta and his pals who where in the Sarasota Fl area from at least June of 2000 to February of 2001, or later. I had found that Sarasota Imam Muneer Arafat had been visiting this group of Muslim used car dealers in Sarasota and Tampa Fl who were shipping vehicles to the Middle East with destinations like Dubai UAE and Jeddah Saudi Arabia. 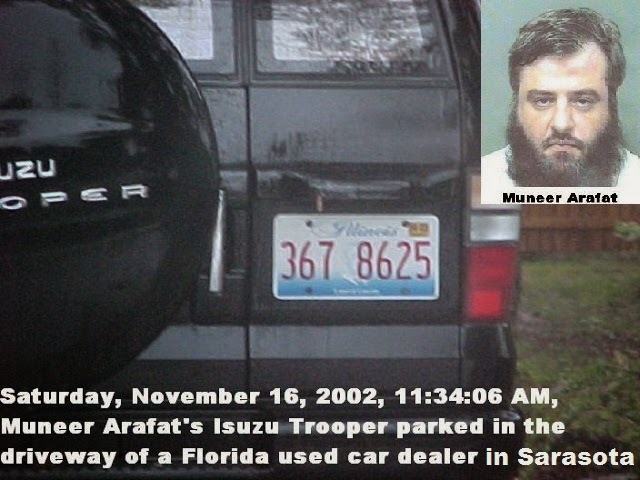 I even had surveillance photos of Imam Muneer Arafat's vehicle at one of the Muslim used car dealers in Sarasota in November of 2002 just before he was arrested by the Feds and shipped back to St Louis to testify before a Federal Grand Jury on terrorism links in the USA, in December 2002. It became public knowledge after the St Louis Post-Dispatch news article of January 20th 2003, that Sarasota Imam Muneer Arafat, while working at the Islamic Society of Sarasota and Bradenton on Lockwood Ridge Rd Sarasota Fl, was directly linked to Al-Qaeda agents and support of terror funding. Muneer Arafat admitted in the St Louis Post-Dispatch article that he and his pal Ziyad Sadaqa aka Ziyad Khaleel raised $20,000 for the Holy Land Relief Foundation in Texas which turned out to be a front for Hamas, all the directors of Holy Land ended up with long prison sentences. Not one word of Imam Muneer Arafat's numerous confirmed terrorism links was ever reported in the Sarasota Herald Tribune, Arafat returned to the Islamic Society of Sarasota and Bradenton on Lockwood Ridge Rd Sarasota Fl and worked through the end of 2003 like nothing ever happened. As a result of my independent investigation into the support of terrorism network in Sarasota Fl and what appears to be links to Sami al-Arian and a grand jury investigation focusing on a Herndon, Va.,-based organization called the International Institute of Islamic Thought, my name was submitted by an ICE Agent to the 'Rewards for Justice Program', not once but twice, it appears that the Tampa office of the FBI quashed the 'Reward' both times, if I had received the 'Rewards for Justice' payout ($Millions) the FBI would have to admit as to what was discovered by me in Sarasota Fl. To this day, the FBI alleges no link to the 9/11 hijackers to any support network in the greater Sarasota Fl area or in the USA, this is a lie. Instead of a $Million dollar payout from the 'Rewards for Justice Program' I was finally paid $2,500 by the ICE Bradenton Fl field office on April 29th, 2005 (10 years ago to the day) in old $100 bills that appeared to me had come from a drug deal (confiscated cash), also on this day, April 29th, 2005, I was officially inducted as a Confidential Informant for ICE at the Bradenton office, prior to this date I operated on my own with full knowledge of the FBI, ICE, the Sarasota Police Dept and the Sarasota Sheriff Dept. The Rewards for Justice Program is one of the most valuable assets the U.S. Government has in the fight against international terrorism. The Rewards for Justice Program has been effective. Since the inception of the Rewards for Justice program in 1984, the United States has paid more than $125 million to over 80 people who provided credible information that put terrorists behind bars or prevented acts of international terrorism worldwide. The program played a significant role in the arrest of international terrorist Ramzi Yousef, who was convicted in the 1993 bombing of the World Trade Center. Today, the Rewards for Justice Program plays a critical role in the 2014 Afghanistan Transition Plan. CIA Report Indicates Saudi Gov Behind 9/11 Attack But FBI Report Redacts Sarasota Saudi Family's Link to Mohamed Atta, It Was an Act of War. How the FBI is whitewashing the Saudi connection to 9/11. 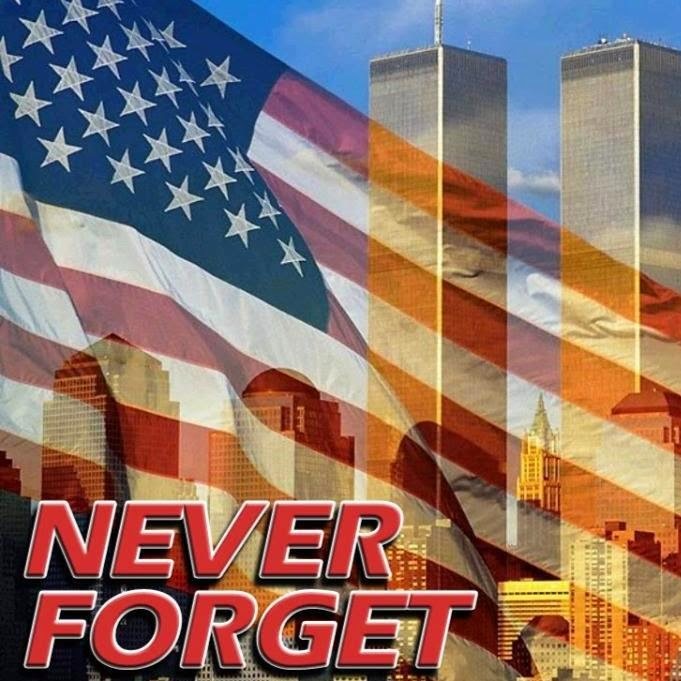 Just 15 days before the 9/11 attacks, a well-connected Saudi family suddenly abandoned their luxury home in Sarasota, Fla., leaving behind jewelry, clothes, opulent furniture, a driveway full of cars — including a brand new Chrysler PT Cruiser — and even a refrigerator full of food. About the only thing not left behind was a forwarding address. The occupants simply vanished without notifying their neighbors, realtor or even mail carrier. The investigation into the prominent Saudi family’s ties to the hijackers started on Sept. 19, 2001, and remained active for several years. It was led by the FBI’s Tampa field office but also involved the bureau’s field offices in New York and Washington, and also the Southwest Florida Domestic Security Task Force. Labels: How the Tampa FBI is Stonewalling the Sarasota Saudi Family and the Saudi Gov Connection to 9/11 Using the IIIT-SAAR Grand Jury Investigation.